You’ll never need to call IT to set up your video conferences. In 3 clicks, you can schedule a meeting from your computer. And for spontaneous meetings, with just 1 click you can launch a new meeting directly from the Kickle screen. Suitable for all meeting room types. Compatible with any display format. Transform any meeting room into a Kickle meeting room! Retain all the great features of Lync. Whiteboar wit editin tools. Shar you documents. You ol fli char i distant memory. 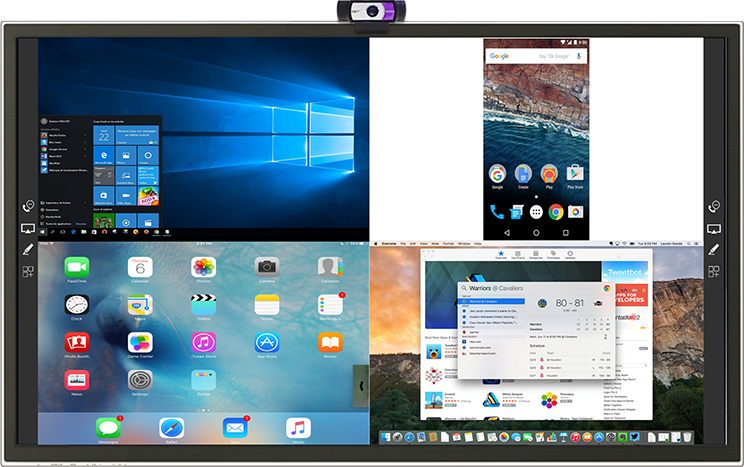 The user-friendliest * Skype for Business videoconferencing system. 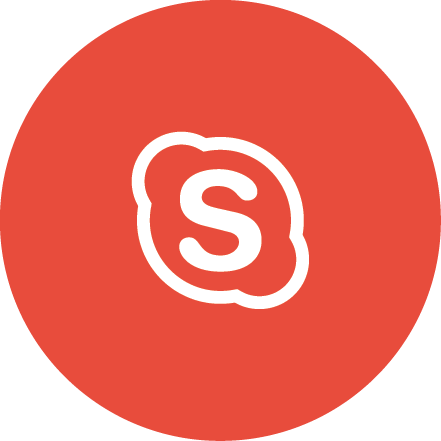 Call other Skype for Business or consumer Skype users, H323 devices, SIP devices, landlines, or anyone else who has an email address and internet connection. * No cables, no configuration, no questions. Simple as that. An endless display solution. No strings attached. Got something that’s too good not to share? Put it on display! Display your iPhone, Android, Windows phone, Mac or PC. Regardless of the technology you use, display easily via your Wi-Fi connection. Up to 4 devices at a time! *. *Some people just have an itch to share. 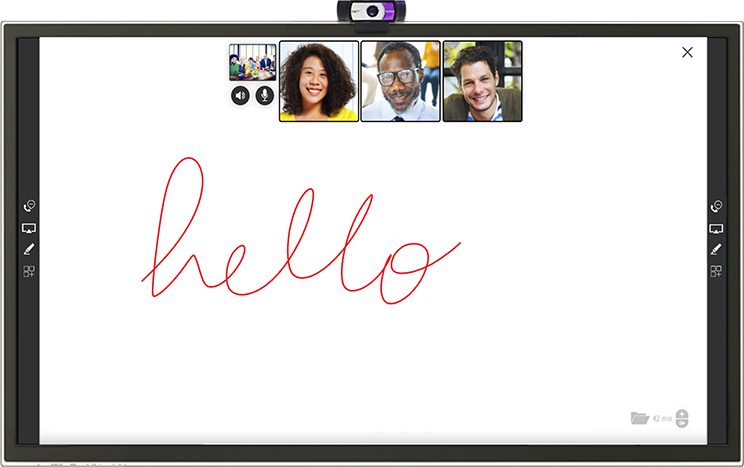 Insta-launch the multi-touch whiteboard with just one motion, and then start drawing. *Though we admit, nothing beats them for Pictionary. The room is free? Go ahead and book it directly from the Kickle screen. 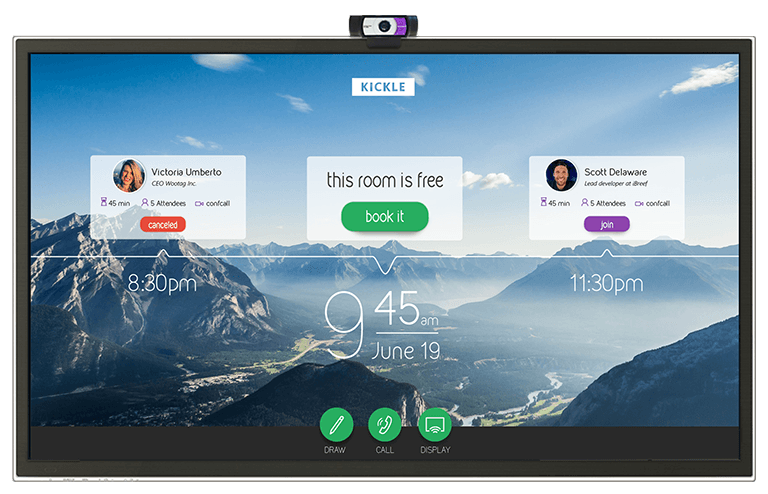 No more sad, stood-up meeting rooms – Kickle automatically puts the available room back on the open market. *Hey, this could be our tagline! 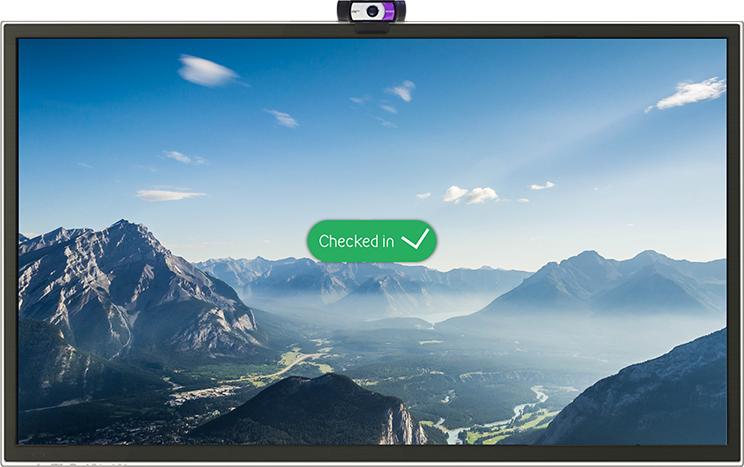 KICKLE TRANSFORMS ANY SCREEN INTO A VIDEO CONFERENCING SYSTEM.